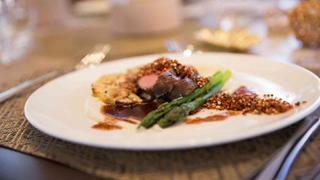 Chef Pierce's sous vide red wine Ibérico pork pluma. Last year's Culinary Contest at the Antigua Charter Yacht Show (4-9 December, 2018) challenged chefs to produce a New Year's Eve dinner party to preference sheet of strict dietary requirements. 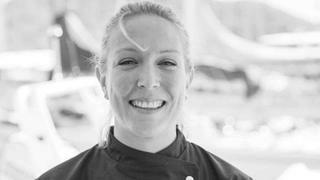 Chef Desree Pierce, took the honours in the smallest category (yachts up to 126ft), and tells Sophia Wilson about her culinary inspirations. After being lured from her studies as a fashion designer by the joy of cooking, Desree Pierce set sail from her native Cape Town just over four years ago. Now most at home in the new galley of this recently launched multihull, she impressed the judges with a creative twist on a demanding brief that requested a traditional Austrian family evening. 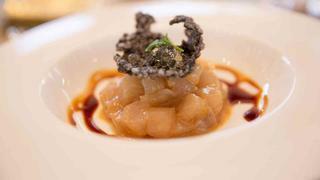 Her menu featured miso-cured ceviche, sous vide red wine Ibérico pork pluma and vegan piña colada cheesecake. "I looked at the preference sheet and tried to read into the basics of what the judges were looking for. They wanted flavour, they wanted something that they were familiar with but they are in an exotic area. So I tried to pick out elements but give them something exciting. So many people are foodies these days, it’s really hard to impress. If I can find meals that really have that wow factor for my guests, then I am stoked. There is a trend for healthier food these days, but that doesn’t have to mean the food has to be bland. It can be really tasty; it’s all about how you combine your different flavours and use fresh ingredients. To be out on the ocean and be free to travel, taste different cuisines and learn from other people is a dream come true. I travel to eat and taste more. My partner and I spent a year in Asia, going to all the food stores and chatting to locals. I love bringing Asian fusion into my food."